Canadian First-Time Home Buyers Tax Credit (HBTC) assists first-time home buyers with the costs associated with the purchase of a home, such as legal fees, disbursements and land transfer taxes, which are a particular burden for first-time home buyers, who must also save for a down payment. Canadian First-Time Home Buyers Tax Credit (HBTC) amount applies to qualifying homes acquired after January 27, 2009, and provides up to $750 in federal tax relief. An individual is considered a first-time home buyer if neither the individual nor the individual’s spouse or common-law partner owned and lived in another home in the year of the home purchase or in any of the four preceding calendar years. Special rules apply for the purchase of homes that are more accessible or better suited to the personal needs and care of an individual who is eligible for the Disability Tax Credit. In these situations, the Canadian First-Time Home Buyers Tax Credit (HBTC) can be claimed, even if the first-time home buyer requirement is not met. A qualifying home is generally considered to be a housing unit located in Canada that the individual or individual’s spouse or common-law partner intends to occupy as their principal place of residence no later than one year after its acquisition. Any unused portion of an individual’s Canadian First-Time Home Buyers Tax Credit (HBTC) may be claimed by the individual’s spouse or common-law partner. When two or more eligible individuals jointly purchase a home, the credit may be shared but the total credit amount claimed cannot exceed $5,000. Claimants should ensure that documentation supporting the purchase transaction is available if requested by the Canada Revenue Agency. Claimants are also responsible for making sure that all applicable eligibility conditions are met. First-time home buyers purchasing a home may claim the Canadian First-Time Home Buyers Tax Credit (HBTC) on their income tax returns, starting with the 2009 taxation year. We would like to share a few ideas on what is available for Start-up and existing Businesses. 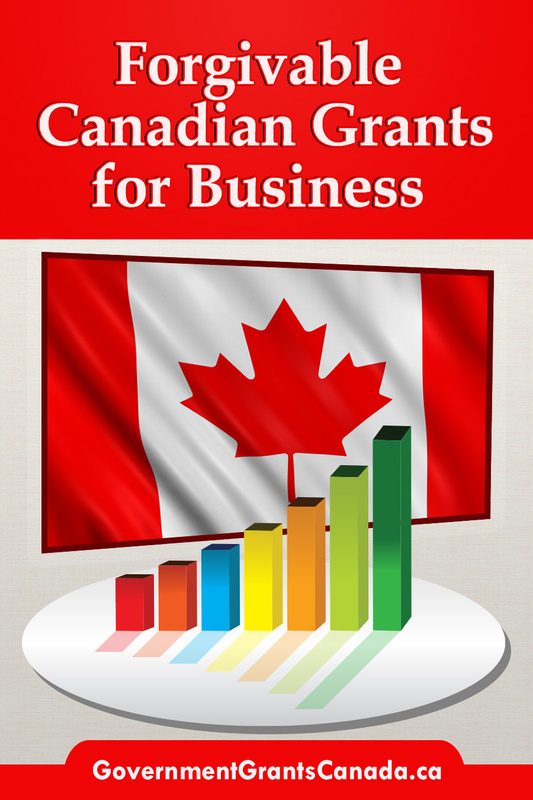 Apply for all government grants you may qualify for, including business grants. On a daily basis there is funding and financial assistance awarded to many Business Sectors including: Farming, Manufacturing, Energy, Services, Retail and more. Government Grants and funding are applied on a case by case basis. When all funds are exhausted, then you will have to wait for the next fiscal period. We strongly recommend that you don’t delay. 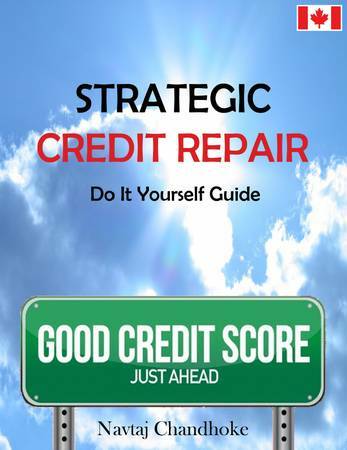 Credit Repair Do It Yourself Guide: No matter how bad your credit is, it can always be improved — and Strategic Credit Repair: Do It Your self Guide shows you how to do it today! Bad credit can damage your chances of qualifying for credit cards or a mortgage and it can even get in the way of renting a home. Credit Repair Do It Yourself Guide: You will learn "How to"
These Canadian Grants are available for all citizens who live and pay taxes in Canada, if you need these Canadian Grants, which most of them are Forgivable, you must apply and do not delay. Government Grants Canada's information on this site is for informational purposes only. This is not Canadian Government site. The GovernmentGrantsCanada.ca its affiliates and content licensors assume no liability for any inaccurate, delayed or incomplete information, nor for any actions taken in reliance thereon. The information contained about grants, rebates and tax credits are without verification by us. Certain links on this GovernmentGrantsCanada.ca site may take you to other websites. The GovernmentGrantsCanada.ca provides these links only as a convenience and not as an endorsement by the GovernmentGrantsCanada.ca These linked sites are not under the control of the GovernmentGrantsCanada.ca If you decide to visit any linked site, you do so at your own risk and it is your responsibility to take all protective measures to guard against viruses and other destructive elements. The GovernmentGrantsCanada.ca is not responsible for the content of any such linked sites or any other web page that is not part of this GovernmentGrantsCanada.ca site. Unless otherwise expressly provided, the GovernmentGrantsCanada.ca makes no representation or warranty regarding, and does not endorse, any linked site or the information, products or services appearing thereon. Accordingly, you agree that the GovernmentGrantsCanada.ca will not be responsible or liable in any way for the accuracy, relevancy, copyright compliance, legality, or decency of material contained in any site linked from this GovernmentGrantsCanada.ca site. Although the author and publisher have made every effort to ensure that the information in this book was correct at press time, the author and publisher do not assume and hereby disclaim any liability to any party for any loss, damage, or disruption caused by errors or omissions, whether such errors or omissions result from negligence, accident, or any other cause. We might have included some information for the exclusive purpose of past information which may appear to be expired info. 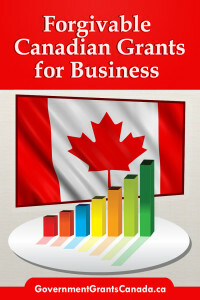 Government Grants Canada have compiled the list of grants, loans and assistance programs for Canadians and businesses. We will save you many hours, even weeks or months of searching. Get money for a job or for starting/expanding a business. Finding sources of funding is often the single biggest challenge for someone wanting to start or expand their business. What other areas of business development is the government particularly keen on funding? 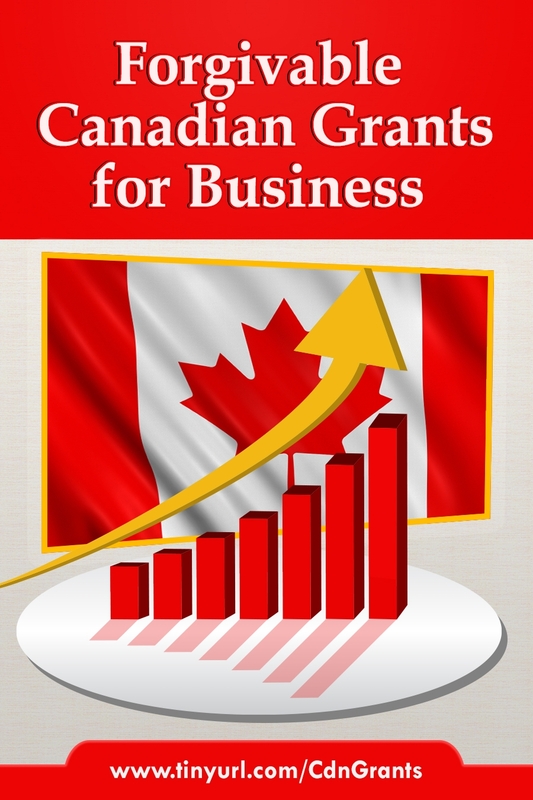 By getting involved in business activities such as research and development, exporting, or environmental improvements, for instance, you can greatly increase your business’s chances of finding a small business grant. Billions of dollars are given out annually by government agencies and foundations in Canada but most Canadians don’t even know these agencies and foundations exist, or how to contact them. The Government sets aside Billions yearly to inspire the Canadian dream and to enhance the economy. 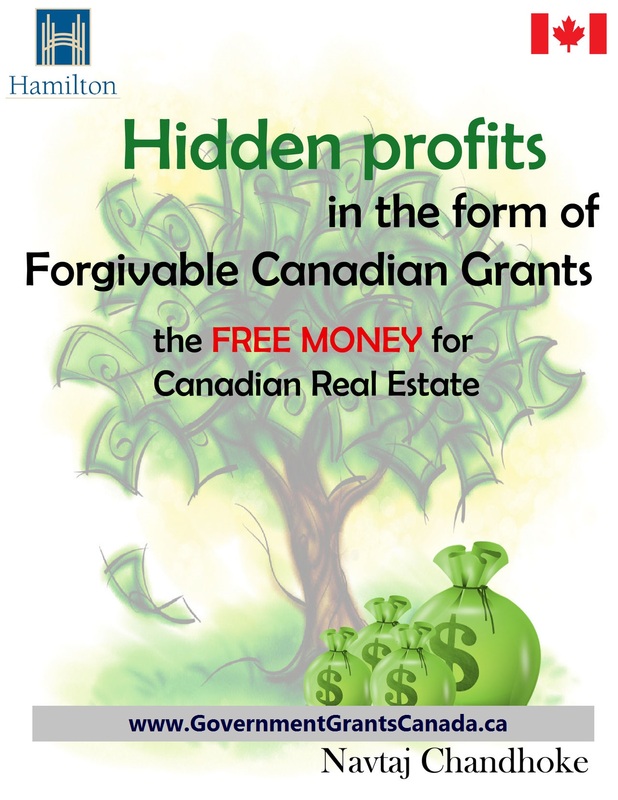 Hidden profits in forgivable Canadians grants are very imporant for Canadian Real Estate investors to know. The Real Estate Millionaire Secrets Apprentices (REMSA) went to the city of Hamilton to learn more about different investment opportunities and grant programs. Warmingly welcomed, we were introduced and showed by the government officials what types of grants, rebate programs and tax assistances are available. In the field trip, the Canadian Real Estate Investors found out that this is a humongous resource and it’s beyond the common knowledge for any person or real estate investor to comprehend. 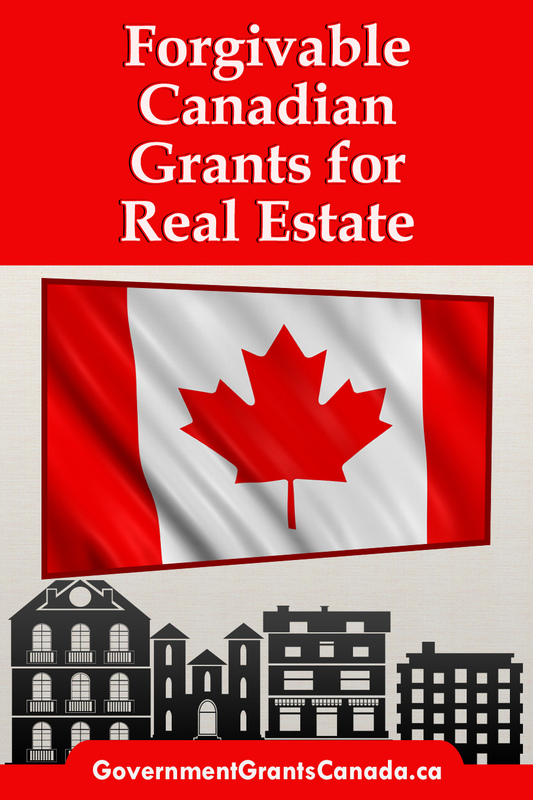 The Canadian Real Estate Investors came from different provinces; from British Columbia, Alberta and Ontario. They were shocked and amazed what they heard and discovered. It seems like city of Hamilton is real estate investor friendly town which welcome all kinds of real estate investment. The city has so many programs which offer different incentive grants, tax rebates. 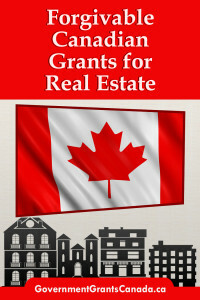 We had collected and combined all of the information into this book to help and educate you about the different grant programs available in the city of Hamilton. 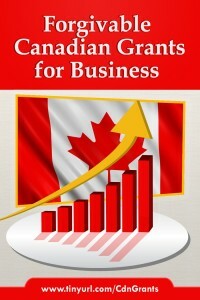 This book is dedicated for the purpose of educating and bringing awareness to Canadian investors to invest with proper education and coaching. We will appreciate your feedbacks and comments. The purpose of writing this book is to enlighten and bring awareness to Canadian real estate investor the importance of education and coaching. The government of Canada has provided $19.8 million in grants to Bangladesh to strengthen the country’s technical and vocational training institutes to create employable and market-oriented workforce. The country will provide the funds through the multi donor trust fund of the World Bank for the ongoing Skills and Training Enhancement Project (STEP). Arostoo Khan, additional secretary of the Economic Relations Division (ERD), and Johannes Zutt, World Bank country director, signed a deal to this regard in the city yesterday. Heather Cruden, Canadian high commissioner, said her country would provide the funds over the next four years to extend the reach of the STEP project. The project, which began in 2010 and will run until 2016, aims to create demand-driven technical and vocational education and training and increase the number of employable students and trainees, including those from disadvantaged socio-economic backgrounds. Cruden said Canada’s contribution would support all project components and expand and deepen impact by enabling additional private diploma-granting institutions and short-course institutions to benefit from the funding. Zutt said the project would help public and private technical institutions to extend their offerings and improve their quality and link the workers to the job market in a more effective way. ERD Secretary Abul Kalam Azad also spoke.